Whether at a special event or just relaxing after a long work week, alcoholic beverages are perfectly healthy and appropriate for adults to drink in moderation. While it can get a little complicated when deciding which wine to pair with a particular dinner, overall, wine is relatively uncomplicated to serve and easy to enjoy with friends. Beer is also made more complex by the growing trend of tasting and/or making craft beers. With the complexity, though, comes a much wider variety of flavors. Mixed drinks are a completely different category. Here, your inner bartender can shine even if just fixing yourself a nightcap. Over time, you can stock your liquor cabinet with the basics, vodka, whiskey, tequila, rum, and other favorites as well as tonic water and seltzer. With the ingredients amassed, whether following a recipe or inventing your own, guests will be impressed with your cocktails. Given the nature of alcohol, it is also important to know how much is safe to drink, both on a nightly basis and overall. It can be easy to slip into bad habits and start drinking more than recommended. Realizing there is a problem is the first step toward fixing it and once again enjoying adult beverages in a healthy way. 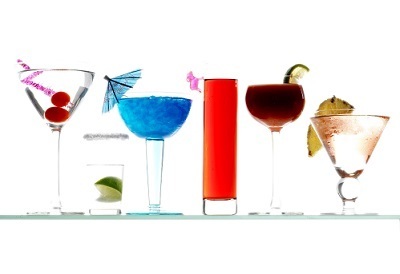 We offer advice for choosing adult beverages for guests and for including alcohol in your life in a healthy way.